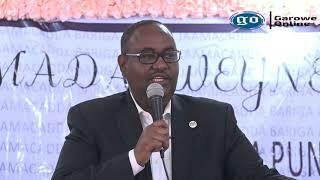 GAROWE, Puntland - Former PMPF director, Mohamed Abdirahman has praised the UAE's commitment to continue its vital support for Puntland, a Federal Member State in northeastern Somalia, Garowe Online reports. 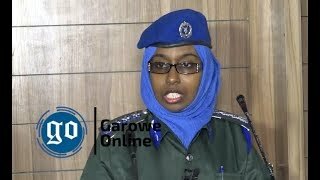 Speaking to Garowe Online, H.E Mohamad Abdirahman described the United Arab Emirates' unwavering assistance as "backbone" to the region's security mainly protected by the UAE-trained Puntland Maritime Police Force [PMPF]. "UAE's support came at a critical time, where Puntland was in dire need of help in the security, especially the fight against the piracy off its coastline impacting on maritime transport in the Indian Ocean and the Red Sea," he said. 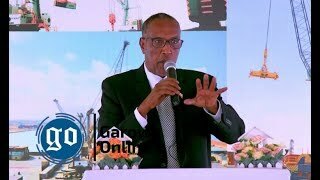 The Gulf country has assisted Puntland government to establish PMPF in 2011, in a bid to eradicate piracy, illegal fishing, and human trafficking, as well as the other illicit activity off of the coast. The Puntland Maritime Police Force which is currently made up of around 2,000 personnel set up 8 operational bases along the coastal areas of Puntland to fight pirates on land after maritime patrols became unsuccessful. Mohamad Abdirahman who has served as the first director of PMPF when founded in 2011. During his leadership, the Maritime forces made significant progress in the structure and the war on the piracy off Puntland coast. In December 2012, the PMPF rescued MV Iceberg-1 and 22 crew members after two years and 9 months in captivity. The ship hijacked March 29, 2010, off Yemeni coast was the longest held vessel by Somali pirates. The Panamanian-flagged Iceberg-1 owned by the UAE-based Azal Shipping and Cargo had a multinational crew of 22 made up of Yemenis, Indians, Ghanaians, Sudanese, Pakistani and Filipino. The operation which was first to participate by the Puntland Maritime Police Force has left four, including 3pirates and 1 soldier dead. Three other pirates were arrested in the rescue mission freed the cargo vessel and the crew. For nearly ten years, the UAE has been training and paying the salaries of the anti-piracy forces. When asked about the Somalia-UAE relations, The former director answered: "The two countries share a long history which stretches back to ancient times based religion, culture, trade, social ties, and cooperation." 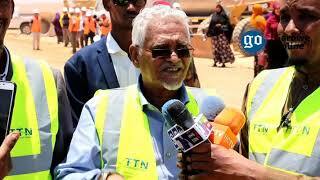 Besides the firm historical ties, former PMPF director said the United Arab Emirates is the biggest trading partner of Somalia, and it has welcomed thousands of Somali nationals in UAE and provided them with employment. The respected politician has praised UAE for playing a key role in the development of Horn of Africa country and contributing to the security and training several thousand Somali soldiers since 2014 and supporting the PMPF. Following the collapse of the Somali regime in 1991, the UAE became the major hub for the Somali business. Dubai is considered as Somalia's key link to the rest of the world and a major touristic destination for Somali Diaspora. Despite this, the diplomatic relations between the UAE and Somalia has been at 'low point' in recent months and strained further Somali soldiers boarded an Emirati civilian plane at Aden Adde International Airport and forcibly confiscated USD$9.6 million in cash allocated to support Somali army, April 8. 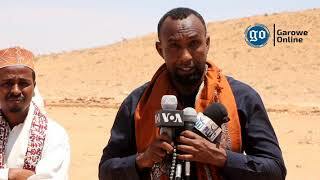 Finally, Mohamed Abdirahman who also once became an adviser to the former Puntland president has called for dialogue to resolve the diplomatic rift between the two fraternal countries.